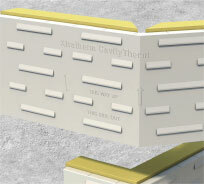 A preformed panel of CavityTherm that folds to provide a perfect 90° corner either external or internal. 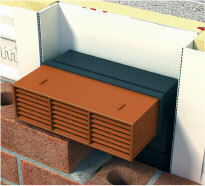 The corner boards ensure excellent detailing and provide a perfect template for setting out of outer brickwork. 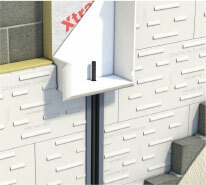 The Hockey service voids allows for easy access to the cable that supplies the meter box and is preformed to fit the insulation. 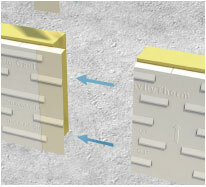 A preformed panel that creates an insulated Service void for Periscopic Floor vents in suspended floor situations. 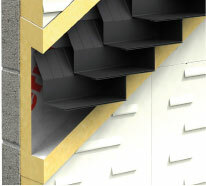 An insulated channel to allow for insulation continuity around stepped cavity trays at gable junctions. 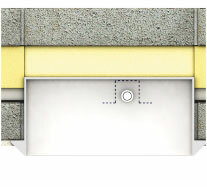 The preformed meter box accessory allows a recess space for placement of meter box, leaving the insulation to run in a continuous plane. 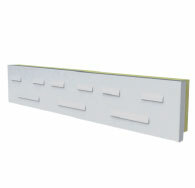 A CavityTherm half-board that is used to finish wall insulation heights when a full board is not required, reducing cost and wastage on site. 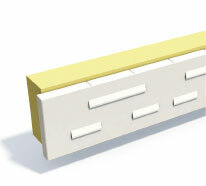 When building from the inner leaf to the outer leaf, board joints can be protected and taped with the jointing strips. 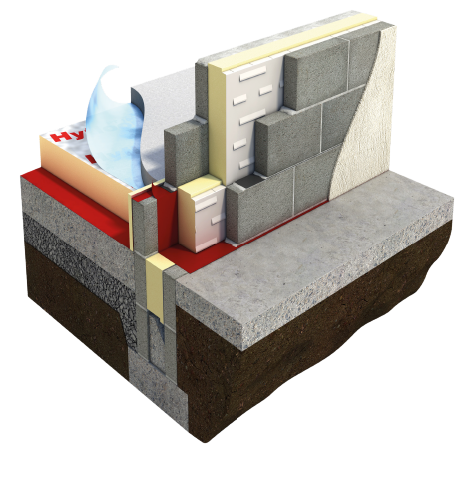 A CavityTherm half-board that is positioned below the DPC at floor levels and allows for the recommended overlap between wall and floor insulation boosting thermal bridging performance and cutting waste.